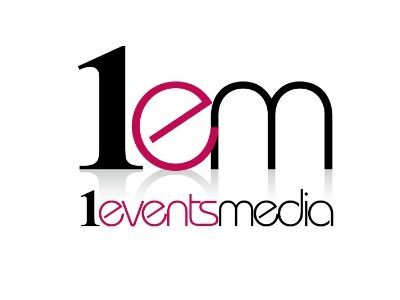 1 Events Media (1EM), is a business whose senior managers have over 20 years’ experience in events promotion. They are the organisers of the regional E3 Business Awards and the more recently launched E3 Business Exhibition. 1EM also hosts local networking events titled 1EM Networking. The E3 Business Awards were launched in 2013 to recognise and reward business excellence across the whole of the North West. They celebrate organisations that are passionate about Enterprise, Education and Employment (E3). Popular, respected and now firmly entrenched as a recognised brand, the Awards are different because they acknowledge outstanding business achievement across all sections of the community. As such, they offer a unique marketing platform for any organisation seeking to raise its profile amongst the North West’s most diverse assembly of dynamic and high-achieving entrepreneurs. The E3 Business Expo is a North West trade exhibition that provides an excellent platform for networking and collaboration between a vibrant community of businesses. The E3 Expo evolved from the success of the annual E3 Business Awards, which have grown in popularity and have created a thriving body of private enterprises. Responding to their clearly expressed wish for a large, business-to-business exhibition, the E3 Business Expo was created. Here, amongst more than 100 stands and 2,000 visitors, sponsors and exhibitors can promote themselves to a multi-sector, North West audience. There is always a need for businesses to meet new people, promote their products and services, identify potential customers and suppliers and become better at doing business. This is the foundation used to launch 1EM Networking. These local events feature speed networking and include a host of different speakers sharing their experiences, providing practical no-nonsense tips on specific topics. Embrace the challenges and learn from others. Lancashire has a great business community from manufacturing firms to high tech digital companies. In every community there needs to be a point of contact for Business Advice and Support. Boost is the first point of contact for Lancashire businesses.